Rare opportunity. You will love this architect-designed, completely renovated condo in one of Cambridge's most desirable neighborhoods, Cambridgeport. On a quaint side street, the high level of craftsmanship and amenities will exceed your expectations. The main level is warm and inviting with an open living and dining layout that is flooded with natural light. The gourmet kitchen shines with an over-sized custom built granite island, two-tone cabs, stainless appliances, designer fixtures, an over the stove pot filler, and a stylish vented hood. Retreat to the spacious master bedroom with en-suite bathroom and designer tilework. Also on this floor is a 2nd sunny bedroom and a full bath. The lower level boasts the 3rd bedroom and another full bath. Features include: tankless on-demand Navien hot water, laundry hook-ups in unit, 2-zone heat and a/c, and Anderson windows. Take advantage of this excellent locale. 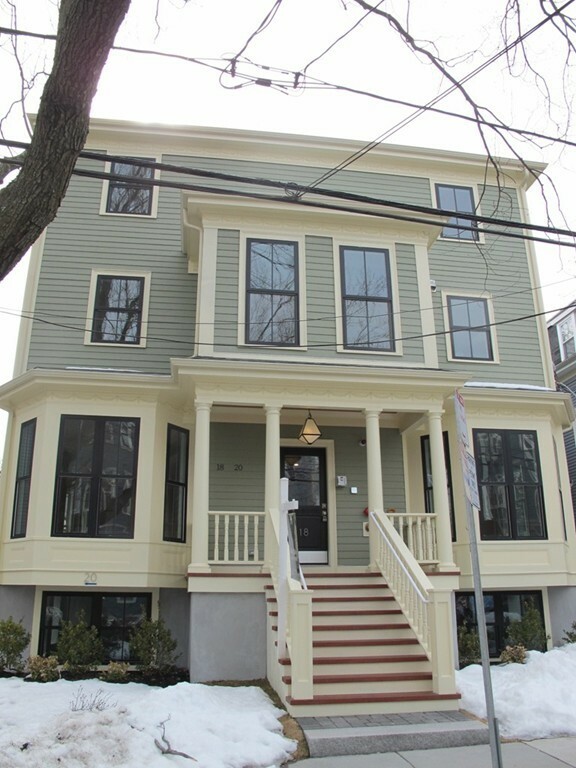 Live close to parks, restaurants, Harvard, MIT, BU, & the Red and Green Lines.